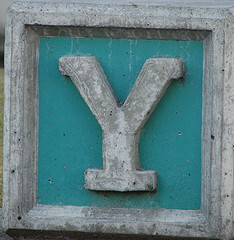 The 3 Y’s of Success is the twenty-fifth in a series of articles to help you reach your goal. What are your goals? I know you thought about it! You know, it is your dream, wish or resolution you made! Before you can get to where you want to be, you need to know where you are going. You wouldn’t get on a bus, train or plane without knowing where it was going. Interestingly, Y’s phonetically is wise. Wise is the possession of knowledge or learning. In contrast, wise guy is a conceited and often insolent person; smart aleck. Is that you? Sometimes, certain criminals are called “wise guys”. This is intended to share a little knowledge about success. You are responsible for your success or failure and there are no excuses. I was brought up to only respond in three (3) ways, yes, no and no excuse. I was taught to take responsibility for myself. The most important ingredient in success is you! You can succeed or fail and it is up to you. George Bernard Shaw said, “Youth is wasted on the young.” My youth was complicated by the Vietnam conflict. I graduated college at twenty-one, married my college sweetheart and ready to take on the world. Instead, I was drafted within six (6) months of graduation. I ended up teaching business classes at the USDB (Army prison) for my whole tour of duty. Was that time wasted? Not at all! II learned so much and it motivated me to accelerate my career. I went to work for a Fortune 100 company and learned my financial skills. Youth is only wasted, if you waste it. Yield is the income return on an investment. When I make an investment, I focus on the outcome. It doesn’t stop at investments, I look at the outcome with every decision I make. I ask myself, what outcome or goal am I trying to achieve? Then I work backwards. If I need $60K for a down payment, I start thinking about the amount of time I need to accumulate the funds. I add in any interest/dividends I may earn and determine the monthly deposit I need to make. It works for me. Yield for me is the result of a good investment. It is all about you! You have to make it happen and no one else can. You must take control of your finances in order achieve your goals. You make career decisions to work for an organization or create your own. You decide to go to college, graduate school or some other post secondary training. More importantly, you decide to not do something. Passing up opportunities because they are too difficult, expensive, may require student loans, or just inconvenient can be even more damaging. It is all up to you! When you were young, did you do the right things for your future? Probably not! Did you participate in a 401K in your first job? Did you start to save early or spend less than you earned so you could have savings? If the answer to these questions is no, you wasted your youth! “12K will make you rich” is an article that proves that point. Are you accumulating skills and experience during your youth to get ready for your goals, plans and dreams? When you are young you can work eighty (80) hours and still party like it is 1999. If you work hard and smart, the following decades will be much easier and more successful. Are you wasting your youth? Do you invest for yield? For me, yield is more than dividends or interest. It is part of your goals! As you invest, you expect that the investments are growing over time in order to achieve a comfortable retirement or some other financial goal. Your investment yield over a lifetime of earnings will be roughly 7-8%. If it were lower or higher, you need to adjust your investments to meet your goals. So far I am talking about investment yield, but have you looked at your career yield? What are you trying to accomplish in your career or business? You could apply this to almost anything by starting at the end of what you are trying to achieve and work backwards. Yield is outcome! This is the twenty-fifth article in the series about success; I expect to publish throughout 2012. There will be twenty-six (26) of them, one for each letter of the alphabet. The 3 Y’s of success are you, youth and yield. I think everyone wants success in life; business and career; however it takes a concerted effort to reach success. The difference between the impossible and the possible lies in a man’s determination.” Tommy Lasorda sums it up much better than I can! I started this series because I run into so many people who have difficulty reaching success. They want to know my secrets! So I thought I would share them in a format that will be most helpful. I also think this format may make it more interesting and easier to use. My goal in these articles to provide useful and interesting information that will help you succeed. The 3 Y’s of Success is now a series. I really like the idea of the three answers of yes no and no excuse. I was lucky and started my saving young but don’t see myself working any 80 hour weeks hopefully. I don’t think anyone ever thinks of what it takes to be successful when they are young. The reality is it takes more than we can imagine. If you like what you do, it won’t matter. Great as all of these articles. And, though I hate to admit it, I suppose I have reached a stage in my life where I agree with Show :). Thank you, but I don’t know what you mean by “Show”. I love how you spill yield out beyond “investment yield.” Thinking about what you’re getting out of any action seems to be paramount to achievement. While I don’t think you should do things just for yield (“what’s in it for me?”), I think it’s important to keep it in mind. My mantra is always what outcome am I trying to achieve? This is something I think about every time I do anything. Looking back, I really should have used my youth. Better late than never. Now that I’m a dad, I’m going to make sure my son fully utilizes his youth and learns about yields sooner rather than later. Thanks! I think you can always do more than you did! As a parent, I tried to expose my children to a lot of things including my work. Remember, children learn much more from what they see you do than what you say to them. I like your use of the “wise” for Y’s:). Thanks, I have to be creative with this because there is only so many words I can use. I am proud to say that I didn’t squander the financial potential of my youth… well, at least not completely. As soon as I had access to a matching 401(k), I took advantage of it! I didn’t always max it out though, and that is a regret for me. I did not have a 401K at the beginning of my career, although I wish I had. Instead I had profit sharing! I probably should be glad there was no 401K, because I saved anyway and invested in income property that paid off much better.